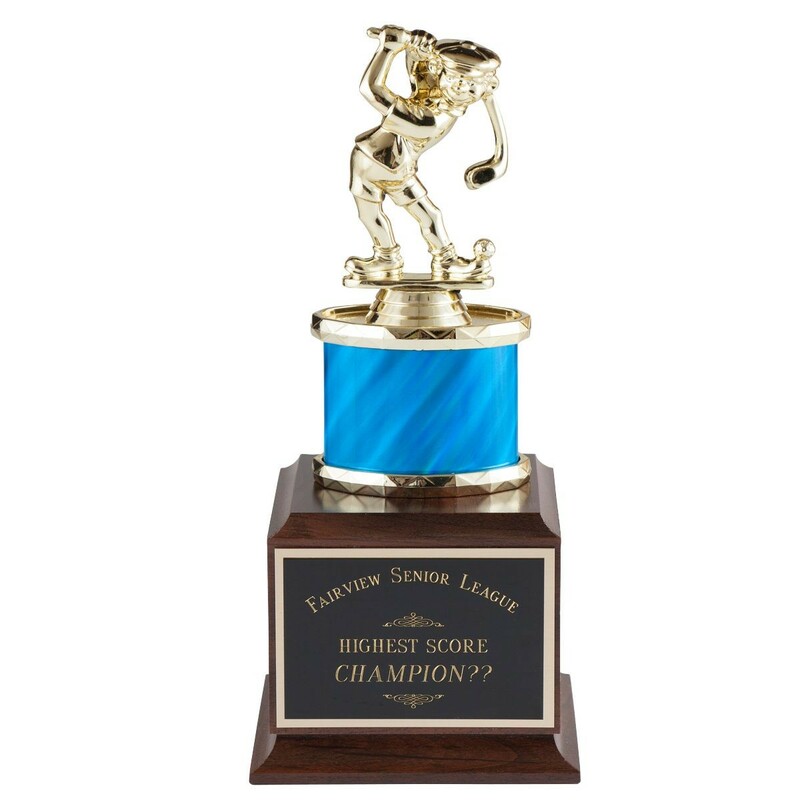 Get lots of laughs at your next golf tournament with our Funny Duffer Perpetual Golf Trophy! This gag joke golf trophy features a goofy golfer in your choice of male or female along with your choice of column color. On the wooden base is your customized engraving for FREE! Add the names of high scorers each year by choosing the option of 3 side plates. Stands approximately 10" tall.